Michael Keane, who recently earned his first England cap, is one of the most sought after English defenders in the league. The Burnley defender started his professional career at Manchester United before settling at Burnley following a series of loan spells away from Old Trafford. Keane has proved to be great find for Burnley and England this season – understandably there won’t be a shortage of clubs seeking his signature in the summer. 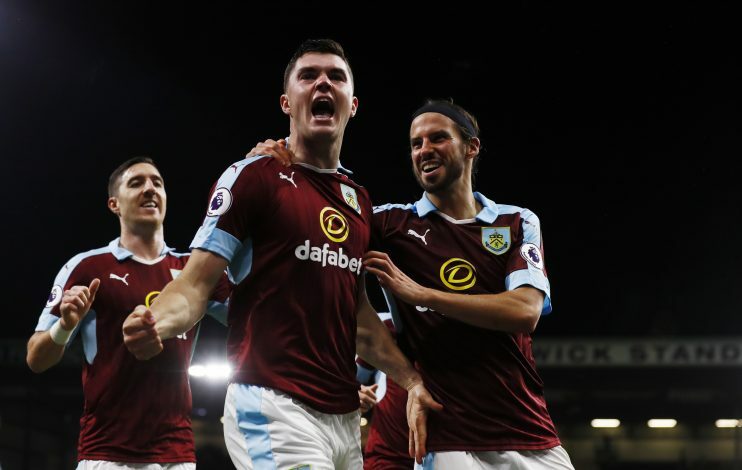 The defender has only one year left on his contract, but Sean Dyche has dismissed the suggestions that the club will be forced to sell Keane on cut price this summer. When asked if Burnley would consider to let his deal run down Dyche said: “Absolutely, we’re in a great position, if that came around. We’re in a stronger position now. The 24-year-old English defender will have to make a decision to make this summer, when his club approaches him with a new contract. The likes of Everton and his former club Manchester United are very keen on Keane, and it would be interesting to see if and how Burnley manages to fend off the interest. Would Burnley be wise to risk letting Keane leave for free in 2018 when there are big clubs looking for his signature? Only time will tell.